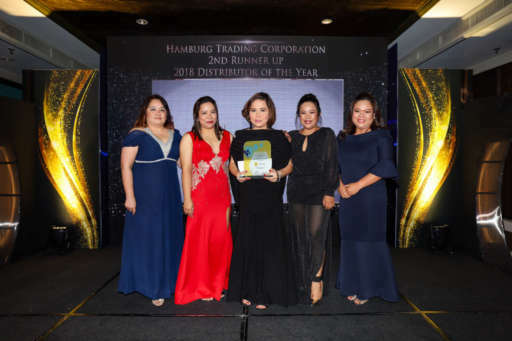 On February 8, 2019, Merck Life Science Philippines presented the 2018 2nd Runner-Up Distributor Award to HAMBURG Trading Corporation at Dusit Thani Manila. 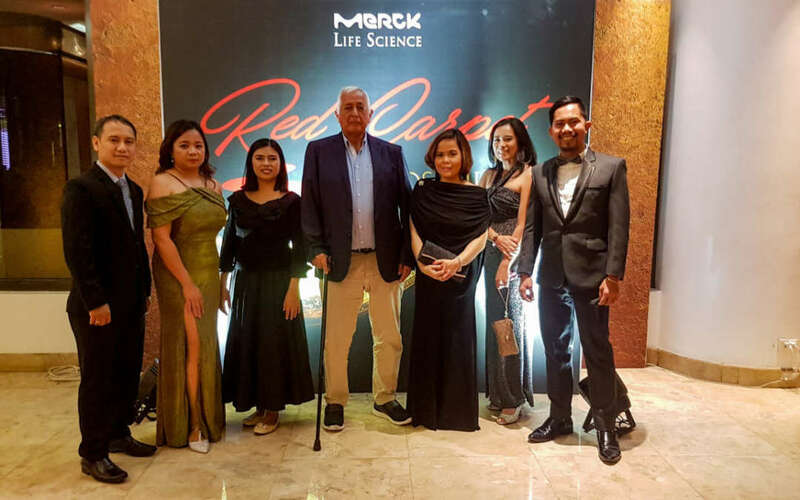 Present during the ceremony are the Reagents Department of HAMBURG, spearheaded by Product Manager Menchie Amoroso; co-awardees, and representatives from Merck Philippines. The Reagents Department of HAMBURG was established in June 2014, but in just 4.5 years, they bested 7 other distributors to achieve this prestigious award. Product Manager Menchie Amoroso says that she is very proud of her team. “I am very thankful to my team. We have the same mindsets to attain all our goals and we really stick to our values—work excellence and teamwork.” Richard See, Head of R&A Commercial Philippines and Catherine Falcon, Dealer and Customer Excellence Manager of Merck bestowed the award to HAMBURG Chairman Horst Kessler von Sprengeisen and Ms. Amoroso. Aside from the above-mentioned award, HAMBURG also won the Best in Biomonitoring Business and Best in Advance Analytics Business titles. Ms. Amoroso commends the efforts of her team for surpassing their goals and everyone’s commitment to go beyond what is expected of them. Ms. Menchie Amoroso (center), Product Manager of HAMBURG Reagents Department accepts the 2nd Runner-up Distributor Award from Merck Philippines. From left to right: Cathy Falcon, Dealer and Customer Excellence Manager Life Science; Dina Santiago, Team Head for Advanced Analytics and Lab Classics; Belynda Dimaala, Team Head for Applied Solutions Division, and Nonie Aliman, Team Head for Research Solutions.